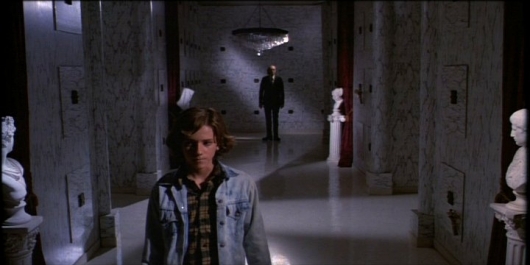 2014 marks the 35th anniversary of the theatrical release of the original Phantasm, a nightmarish horror classic written and directed by Don Coscarelli that managed to carve out its own comfortable spot in the history of the genre despite being initially dismissed as an unfocused oddity. It was released at the tail end of a decade forever identified with the rise of gritty, grounded shockers such as The Exorcist, The Texas Chainsaw Massacre, Halloween, and Dawn of the Dead and stood out from the pack for its offbeat approach to conventional horror filmmaking and its iconic villain the Tall Man, a delightfully old school baddie played with menace and mirth by the great Angus Scrimm. 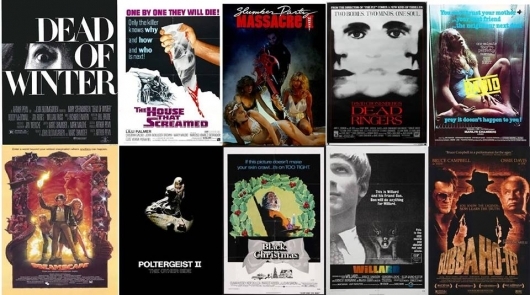 Phantasm spawned three sequels, the first made for Universal Pictures with an increased budget and elaborate visual effects. 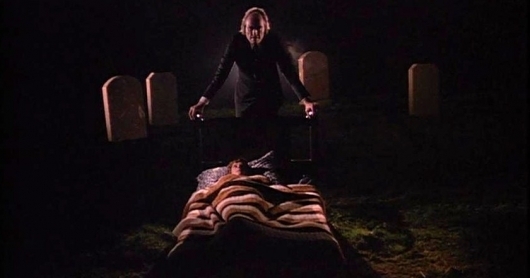 The last sequel, Phantasm IV: Oblivion, was released in 1998 and was a low-budget affair created using an extensive amount of scenes deleted from the first film. It also ended with a weird cliffhanger that has had fans of the series clamoring for another installment ever since. Throughout the years there have been multiple rumors floating around regarding a new Phantasm movie, and earlier this week “Phans” everywhere got a huge surprise when it was revealed that a fifth movie was not only in the works, it was already finished and awaiting a release. Phantasm: Ravager is very real, my fellow fiends, and it is on its way with a vengeance. The first poster was released two days ago, and since then information about this no-longer-secret project has been released piecemeal. Today the film’s minute-long teaser trailer has debuted, and you can check it out, as well as the poster, here below. If you’re about to watch John Dies At The End, you are about to fall into a glorious universe of ridiculousness and weirdness you’ve not yet experienced. This flick is part Twilight Zone, part X-Files, part horror, part comedy, and all brilliant – from balls to bones, and will be an immediate classic among geeks and horror fans alike. 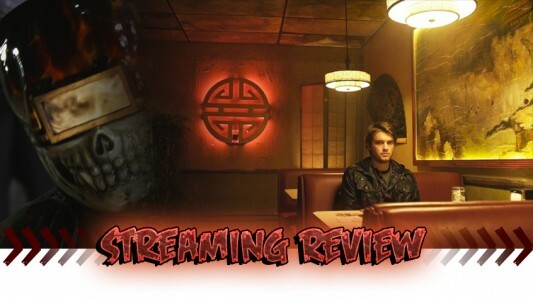 David Wong, and his friend John Cheese, find themselves entering a completely new realm of reality and unreality when they come across a new drug they dub “The Soy Sauce.” The substance causes them to open up a whole range of perceptions, and provides them the ability to see and experience creatures and things that “normal” people just cannot perceive. 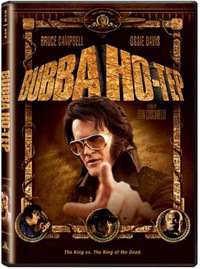 Back in October a Green Band trailer for the new horror-comedy from director Don Coscarelli (Bubba Ho-Tep, Phantasm), John Dies at the End, was released. Now comes a Red Band version of the trailer, with plenty of new footage and naughty bits not shown in the above trailer. 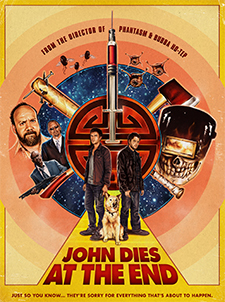 You can check out the synopsis and Red Band trailer for John Dies at the End below now. And of course, your friendly neighborhood NSFW warning is in effect. 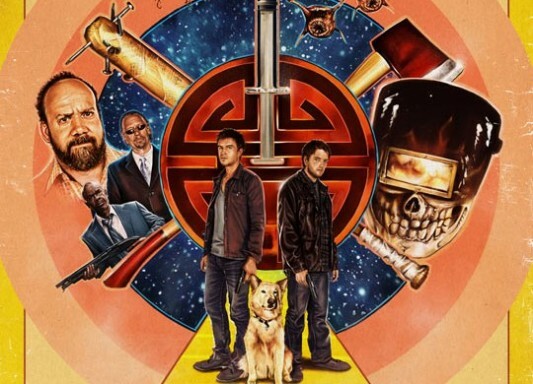 A new trailer for John Dies at the End, the latest feature from Phantasm, The Beastmaster, and Bubba Ho-Tep director Don Coscarelli, has been released. The movie stars Paul Giamatti, Clancy Brown, and Glynn Turman, and will be released via video on demand services come December 27, 2012, and in select theaters on January 25, 2013. Read a synopsis for the movie and check out the new trailer by heading on over to the other side now.